Green House Seeds have been awarded more Marijuana and Cannabis Cups than all the other grow team. With a with number of many international awards, including; 32 High times Cannabis Cups, 17 Highlife Cups, as well as many more private awards from Expo’s across the globe. Arjan, founder and owner of Green House Seeds, has been acclaimed The King of Cannabis for his enviable record of prize winning Marijuana and Cannabis Seeds, produced throughout his career. Green House Seeds are committed to creating the best seeds around the world, and guarantee that Cannabis growers are able to select and choose the best genetics, based upon their location, logistics and personal knowledge. Arjan started collecting Cannabis seeds and landrace Marijuana seeds from all over the globe twenty five years ago, and the journey is still ongoing, travelling to far flung countries and creating the next award winning Marijuana Seeds for Green House Seeds. Green House Seeds genetics are the result of years of intensive breeding and research. 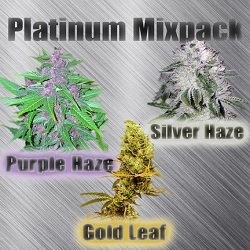 A selection of the Green House Seeds collection are classed as Medical Marijuana Seeds as well as being enjoyed for their recreational effects. Combined with researched unique terpene profiles, Green House Seeds offer a guarantee of unique flavors and aromas, with a wide choice and diversity suitable for all needs. Green House Seeds offer an ever expanding collection, here is just a small sample of some of their very best Marijuana Seeds and Cannabis strains. Green House Seeds Arjan’s Haze #1 took the 1st place winners prize at the 2004 High Times People Cannabis Cup and is an absolute must for all marijuana connoisseurs and breeders alike. A very special Marijuana plant that contains many superior qualities. When inhaled or consumed, Haze #1 is extremely psychoactive, leading to a long lasting and very strong high. Green House Seeds Arjan’s Haze #1 provides a typical sativa taste, with a minty undertones. Grown indoors, the Flowering time is approximately 11 weeks, and produces typical yields of up to 900 gr/per square metre. Green House Seeds Arjan’s Haze #1 produce massive buds and superior quality with spectacular THC concentration. A true Medical Marijuana Champion. Green House Seeds Sweet Mango is another new addition for the Green House Seeds Autoflowering Seeds Collection for 2012. This new Auto Seeds strain from The Green House Seeds Company is a blend of Mango and one of Green House Seeds classic strains Big Bang. Green House Seeds Sweet Mango Autoflowering Seeds produces a medium tall autoflowering Marijuana plant that produces up to 700 grams per square meter indoor, and between 60 and 80 grams per plant when grown outdoors. These Green House Autoflowering Seeds produce strong Marijuana Plants, with long branches, suitable for both indoor and outdoor cultivation and growing methods. Green House Seeds Sweet Mango can be harvested in just 7 weeks and is considered by many as a very fast cash crop. Green House Seeds Jack Herer is a multiple Cannabis Cup Winner and is undoubtedly one of the best strains of marijuana in the world today. Haze dominated plants with fabulous resin production, providing an uplifting, almost psychedelic high. Green House Seeds Jack Herer provide the best results when grown indoor under controlled conditions, taking just 8 weeks to fully mature. Grown outdoor the plant is mature between late September and early October. Green House Seeds Jack Herer produces abundant yields of up to 800 grams per square meter indoor, while outdoor, harvests of up to 1200 grams per plant have easily been achieved. Jack Herer feminized Marijuana seeds produce a good size marijuana plant that will surprise you with an ample yield of buds with a winning aroma and taste, that’s almost spicy. Green House Seeds Jack Herer is one of the very best strains of Medical Marijuana for those users looking for a genuinely devastating high. Jack Herer feminized Marijuana Seeds have an award-winning flavor of strong peppered Haze spiced with a delicious dash of fruity acridness, extremely strong and not to be taken lightly. Green House Seeds Great White Shark won first prize in the BIO cup back in 1997. Evidence suggests that Green House Seeds Great White Shark provides a really powerful knee-shaking high that hits the spot every time. During flowering this Marijuana strain produces an intensive fragrance, subtly suggesting flowers and fruits but with an underlying aroma of winter green. The stone of Green House Seeds Great White Shark provides a seductive high that has the strength of a great white shark, providing powerful relief from a wide number of ailments. Production indoors can reach up to 900 grams per square meter, while outdoors, a kilo per plant is not unusual. Green House Seeds Great White Shark are proven Medical Marijuana Seeds, effective in pain therapy and treatment. 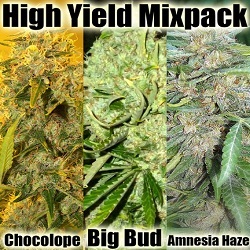 These are only a fraction of the selection of Marijuana Seeds available from Green House Seeds. With one of the largest Medical Marijuana, Feminized, Autoflowering and Regular Seed Bank collections, you will be certain that Arjan, King Of Cannabis has created a Cannabis Strain that’s just perfect for your needs. 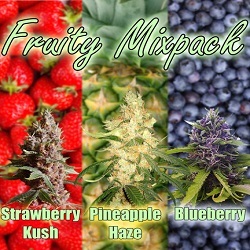 Buying your Cannabis and Marijuana seeds from the most respected and awarded breeder such as Green House Seeds, guarantees you shall be supplied with the very best, and highest quality Cannabis seeds available, you will also receive a free lanyard or grinder, as well as FREE CANNABIS SEEDS with every order. Click here for more about the Free Cannabis Seeds and Gifts from Green House Seeds. 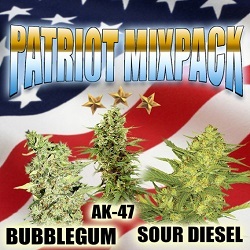 This entry was posted on May 22, 2013 at 3:00 pm and is filed under Marijuana Seeds Blog. You can follow any responses to this entry through the RSS 2.0 feed.